Ring News 24Boxing NewsIs the jury still out on Michael Conlan following victory over Ruben Garcia Hernandez? For the third time in as many years, rising Irish featherweight star Michael “Mick” Conlan found himself inside of the Hulu Theater at Madison Square Garden on St. Patrick’s Day. And for the third consecutive year, Conlan emerged victorious. Conlan moved to 11-0 (6 KO’s) after defeating very tough but outgunned Ruben Garcia Hernandez by 10-round unanimous decision. Scorecards read 100-90 across the board as the 27-year old Conlan retains his WBO Intercontinental featherweight strap in front of 3,712 fans while moving closer to a title shot. The Belfast native could be seen switching between southpaw and orthodox throughout the night as he had Hernandez (24-4-2, 10 KOs) somewhat befuddled the entire evening. The two-time Olympian shared his thoughts after another commanding victory. 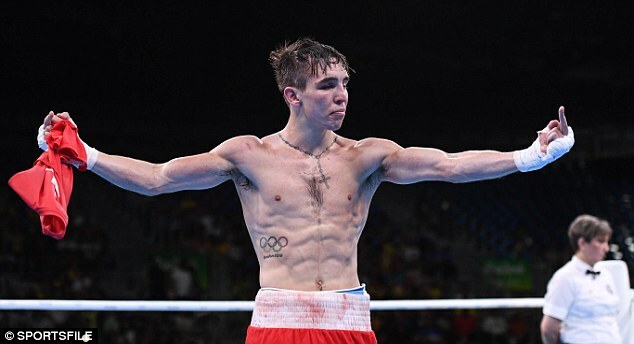 Conlan also called out his amateur rival from Russia, Vladimir Nikitin, afterwards. Conlan’s trainer Adam Booth understands that the road to becoming a champion is a long and winding one. But what can we make of Conlan’s progress so far? There’s no denying that his fellow Top Rank prospects from the 2016 Olympic class, Teofimo Lopez and Shakur Stevenson, have garnered more buzz, yet Conlan continues to win. During the telecast, Andre Ward noted that Conlan would be so much more effective if he simply used his jab. While Timothy Bradley seemed to really appreciate how Conlan’s movement was able to get him in better scoring position throughout the night. Perhaps the verdict is still out, but there’s obviously plenty of upside for Conlan. On the undercard, fans were treated to a nice welterweight matchup as former champion Luis Collazo (39-7, 20 KO’s) made his Top Rank debut a successful one in outpointing tough Samuel Vargas (30-5-2, 14 KO’s) over ten rounds. The Brooklyn native was a little too busy and sharp for his hard-headed counterpart, and surprisingly, at age 37, he still moved and boxed on his toes all the way up until the finish. Scores read 96-94 Vargas and 98-92 and 96-94 for Collazo, who is looking for another championship push late into his career. Has Shakur Stevenson’s Path to Greatness Become That More Clear?